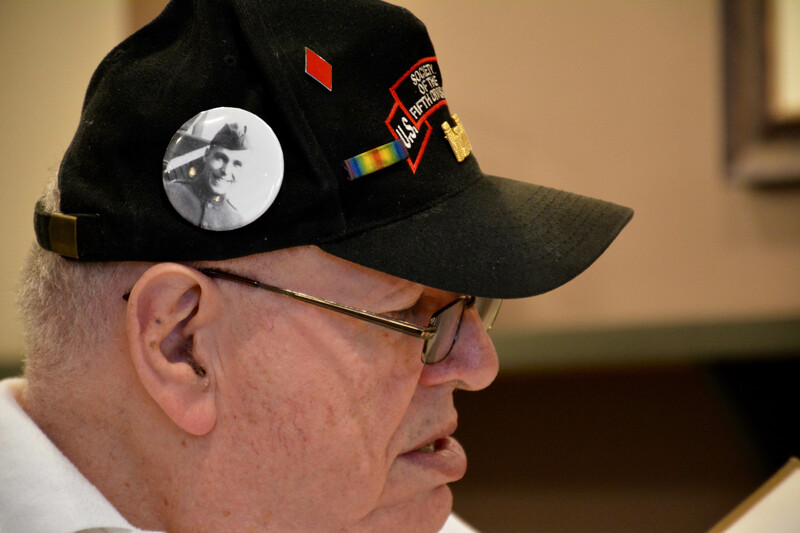 Katherine G. Krajcik and Josh Falcone, journalism students at Southern Connecticut State University, reported this story in 2016 as part of Journalism Capstone coursework on World War I. The Rev. 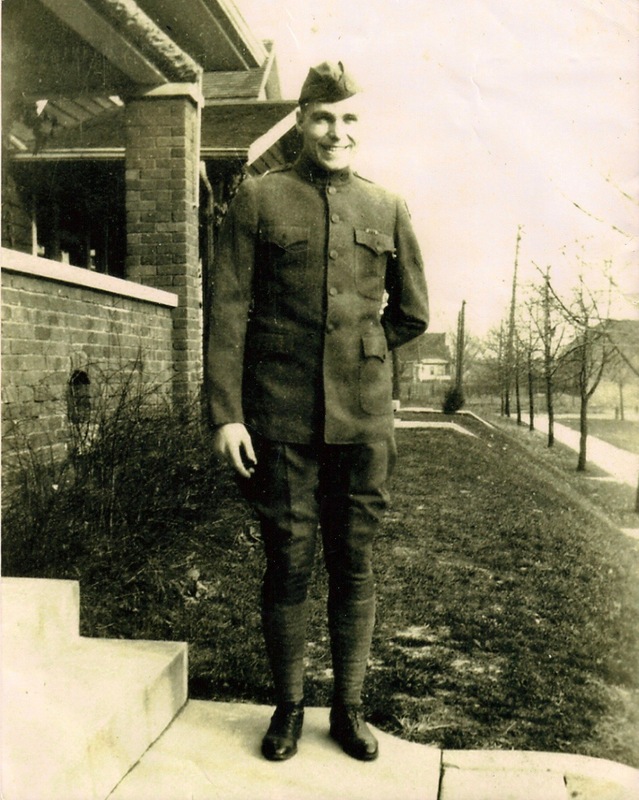 Jerry Carroon, Connecticut resident and avid historian, has pieced together his great uncle’s service in World War I from letters Lawrence Lee Arbuckle sent home. Arbuckle was injured in the Meuse-Argonne Offensive, one of the bloodiest battles in the war. Carroon recalled a discussion with his cousin, Arbuckle’s granddaughter, about when she had asked Arbuckle about his war service. Arbuckle was born in Greenwood, Indiana in 1894 and was a resident of Indiana at the time the United States entered World War I. Arbuckle enlisted in the U.S. Army, trained at Ft. Thomas in Kentucky, and was assigned to the 7th Engineer Regiment of the 5th Division. In the letter dated Dec. 25, 1918, Arbuckle wrote his sister about what had transpired in the previous weeks as the war was coming to an end. Arbuckle and his fellow “Red Diamonds,” as the 5th division was known due to there red diamond insignia, took part in an advancement against German forces along the Meuse River during the late fall of 1918. Arbuckle also wrote about his company’s success of engineering feats while under fire. “On 3 November the first light platoon bridge was successfully thrown across the Meuse River by F Company. The men were fired on regularly all night by machine gun and artillery fire,” Carroon read. The letter was the first home to have many details because of the tradition of censorship in the military during war, Carroon said. World War I was the first conflict where U.S. soldiers’ letters were heavily censored, according to former vice president of the Military Postal History Society, Myron Fox in a 2000 interview with PBS. Fox also said in the interview that this was done by a commanding officer in the soldiers unit to make sure that the soldiers letter did not contain anything of value to the enemy. The military wanted to promote the notion that the soldiers’ resolve was strong and never wavering. “There was a lot he couldn’t say,” Carroon said. According to Carroon, Arbuckle and the 5th Division were in Beuveille, France when they learned of the Armistice. Arbuckle eventually returned home from the war in the summer of 1919. Arbuckle used his engineering skills from the military to start his own company, Arbuckle Engineering Refrigerating Co. in Mobile, Ala. after the war, when air conditioning was first being used in homes.